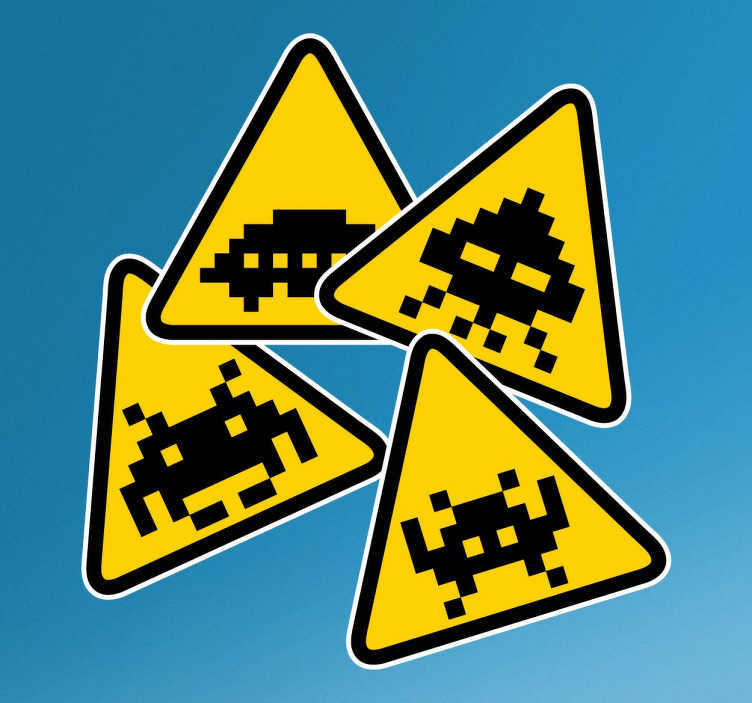 A set of sign wall stickers illustrating characters from the famous and nostalgic video game from the 80s, Space Invaders. A great video game sticker to decorate your doors, walls or anywhere else in your home. Our Space Invaders stickers come in different sizes to suit you. Most commonly used as children´s bedroom stickers or games-room stickers. Our stickers are made from high quality, anti-bubble vinyl and leave no residue upon removal.